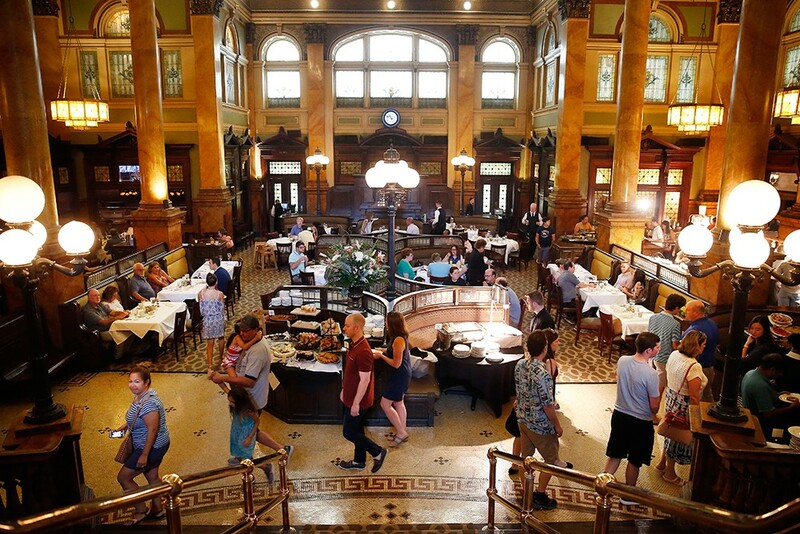 Walk into the historic Grand Concourse restaurant on any given Sunday and it becomes obvious pretty quickly brunch is taken a little more seriously here than at your average Pittsburgh haunt. There are the expected staples: omelets, bagels and lox, fruit, pancakes, waffles, bacon and sausage, Bloody Marys and mimosas. 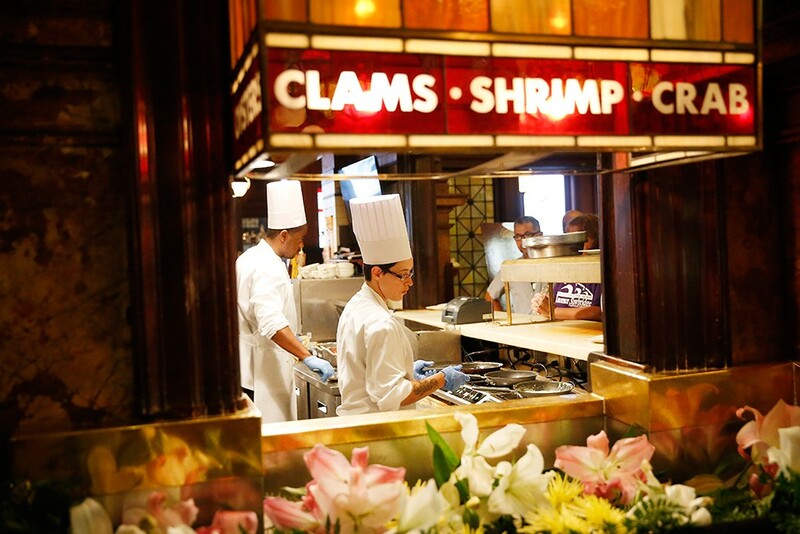 But as you move down the buffet line, the enduring appeal of Grand Concourse is revealed. A staffer at the carving station cuts slices of ham, turkey or prime rib on demand. The seafood section offers salmon pâté and tilapia étouffée. There's hot and cold pasta, cheese dishes, and a "kids" table of chicken tenders and mac and cheese (don't worry, it's not heavily monitored, grab a chicken finger). Finally, you can top off things with freshly made donuts and whipped cream, sticky buns or bananas Foster. If tilapia étouffée for brunch sounds like a stuffy or ostentatious affair, you should know it doesn't feel like it. This Station Square staple delivers pomp without pretension, quality without snobbery. Chalk up the high-class atmosphere to the building's old-school architecture and the restaurant's commitment to keeping the traditional interior decoration intact. It was built as the Pittsburgh and Lake Erie Railroad Station in 1901 (the letters P&LRR still sit on top) with a palpable 19th-century architectural influence: high arches, wood paneling, ornate columns, warm lighting provided by throwback street lights and chandeliers. The building was listed on the National Register of Historic places in 1974 and even though the space was renovated in the late 1970s by restaurateur Chuck Muer, he kept the early 1900s train station personality alive, and not just in the name. Walking down the stairs into the main dining room, it kind of feels like walking onto the Titanic, except, you know, with a happier ending. The staff may be in black ties and the ceilings may be high, but the vibe is warm, welcoming, and accessible. Not exactly a demographic known for white-glove opulence — the travel blogs call Pittsburghers "down to earth" — it's pretty telling that City Paper readers have voted Grand Concourse Best Brunch for six consecutive years. But it shouldn't really be all that surprising. The Grand Concourse mixes Pittsburgh history friendly service, high-quality food, and riverfront dining. What's not to love?